Early in the 1800s fables of the riches and splendors of the Spanish Hidalgos of New Mexico began to reach the ears of the frontier traders, and they came to believe that across the southwestern boundary, which was then the lower line of Kansas and Colorado, lay a market that was unsurpassed. 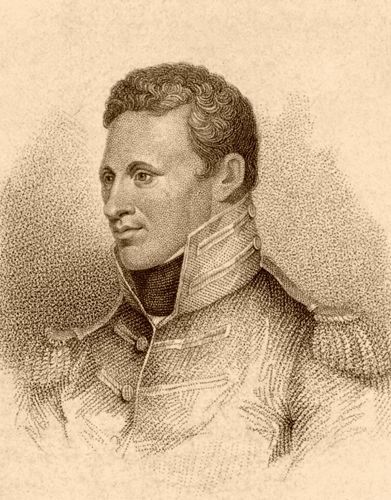 The Spanish rulers were supposed to be rolling in luxury and given to boundless extravagance, and the return of Lieutenant Zebulon Pike from his long pilgrimage and hazardous adventures gave the theories the substance of fact. In 1804, a French Creole by the name of La Lande, started from Kaskaskia, Illinois for Santa Fe, New Mexico with several pack mules laden with goods, belonging to a trader named Morrison, but he never returned and was thought to have been killed by the Indians. In 1812, four men, inspired by Lieutenant Zebulon Pike’s reports, thought they would try to make their way through, and started from Booneville, Missouri with a pack train laden with merchandise. The names of three of these bold adventurers were McKnight, Beard, and Chambers. They followed Pike’s trail to the foot of the mountains, along the Arkansas River, and then took a southerly course, arriving at Santa Fe without any exciting experience. This was the first endeavor to establish trade with the Spanish settlements, and proved disastrous, for, upon their arrival at the capital of New Mexico, the excitement over Pike’s arrest was revived. They were thrown into prison as spies, their goods were confiscated and they narrowly escaped execution. They found at Santa Fe, upon their arrival, a man named La Lande, who was supposed to have been lost, but who went through safely, set himself up as a merchant with the capital that belonged to Morrison, his employer, and was living in luxury with a Mexican wife. The only American there was James Pursley, the first emigrant to New Mexico from the United States. Pursley was a trapper, and while following his trade along the foothills of the Rocky Mountains, had fallen in with some Indians who told him of the Spanish settlements a few hundred miles below. He decided to make them a visit, and went first to Taos, New Mexico, a pueblo or village 70 miles north of Santa Fe on the Rio Grande, and then to the capital, where he took up a permanent residence, married a Mexican woman and kept a miserable hotel until his death, 24 years later. He was the only American to welcome the gallant Pike when the latter arrived at Santa Fe as a prisoner and acted as interpreter during his interviews with the authorities. McKnight and his companions were kept in prison for nine years, until the revolution of 1821, led by Agustin de Iturbide, when they were released, and returned to Missouri in a canoe down the Arkansas River. Nothing daunted by his perilous experience, in the following year (1822) Mr. Beard, of the McKnight party, induced some capitalists of St. Louis to furnish the means for another experiment, and he started again, with a small party, and several thousand dollars worth of merchandise laden upon pack-horses. They reached a point near La Junta, Colorado in safety, but while there were overtaken by a violent snowstorm, and driven into the timber of an island in the Arkansas River for shelter. A rigorous winter followed, and they were compelled to build huts for protection and remain there for three long months. Some of the party perished from exposure and the rest nearly died of starvation. 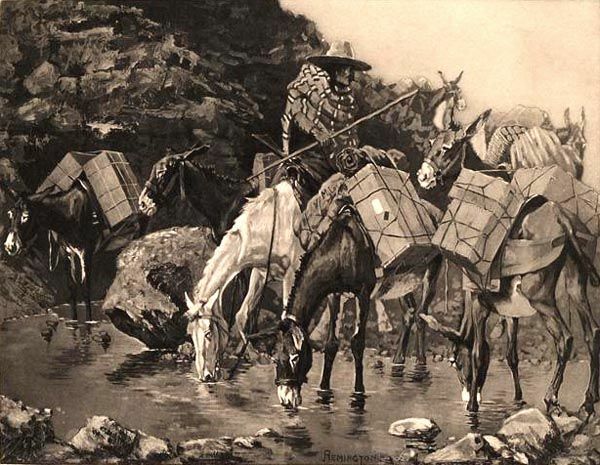 They were compelled to kill their horses for food, and spring found them with a valuable cargo of merchandise upon their hands with no means of transportation. In this emergency, they made a cache, a term used by Canadian voyagers to describe a place of concealment, and digging deep pits on the bank of the river, buried their goods and started on foot over the mountains. They reached Taos in safety, obtained some mules and returned for their buried property, which was taken to Santa Fe and sold at an enormous profit. The mossy pits where Beard buried his goods lie near Las Animas, very close to the boundary line between Colorado and New Mexico, and for years, were still pointed out by ranchmen who rode over that country after the roaming cattle. When these traders reached Santa Fe the haughty and insolent Hidalgos (Spanish Nobility), who had ruled the country commercially, as well as politically and socially, so long, endeavored to dispose of them as McKnight and his party had been treated, but there was a new and more liberal administration since the revolution, which was inclined to encourage competition and welcome commerce; so the Santa Fe trade began. 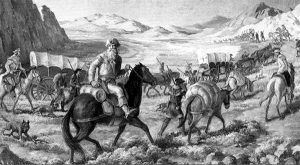 The profits of the expedition were enormous, and Beard’s party returned to Missouri with their pack mules laden with wool and gold and silver and turquoise, for which they had exchanged their merchandise. Up to this date, the New Mexicans had obtained all of their supplies from Spain by vessel to Vera Cruz, from where they were transported at great cost across the country and were sold at exorbitant prices. Calicos that could be purchased in Missouri for a sixpence a yard, cost two or three dollars at Santa Fe, and cutlery was in demand at almost any price. A man named Captain William Becknell was the next trader to start out, and he left Missouri in 1822 with four companions and a stock of goods to trade with the Indians for furs. He met Beard’s returning party, and learning of their success with the Mexicans, went to Santa Fe instead, bringing back large profits to Booneville. Then Colonel Cooper went out in May 1822, with a party of 15 men and several thousand dollars worth of merchandise, which he exchanged at Taos for silver ornaments, wool, and skins. The same year Captain Becknell made a second trip, but, however, with different results. Having great confidence in his ability to find a shorter route to Santa Fe, the captain left his old trail and started across the country, to avoid the circuitous valley of the river. It was a fatal mistake, as the party found themselves in a sandy desert without any water supply, and wandered about for several days enduring sufferings that pass description. They killed their dogs and cut off the ears of their mules in the vain hope of assuaging their thirst with the hot blood. Several of the men died, while the others pushed on with parched throats and burning flesh, following the cruel mirage of the prairie which has lured so many to destruction. The strongest of the party was just fainting with fatigue, and would soon have perished but for a buffalo that came upon them. They shot him for his blood and found his stomach distended with water. This filthy liquid saved their lives, and they followed the track of the animal to a creek at which he had just been drinking.